Can you remember back to when you were in middle school? I seemed to have blocked much of it out of my own memory banks! 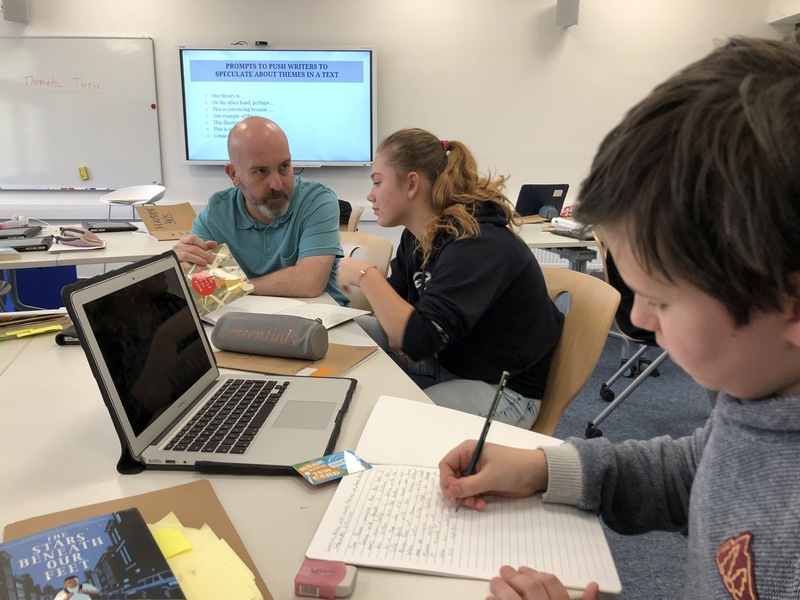 But during my years as director of the International School of Prague (ISP), I have the opportunity to see life in school through the eyes of our students, especially when I take the day to shadow a student. Recently, members of the Leadership Team spent an entire school day shadowing and learning alongside an ISP student. 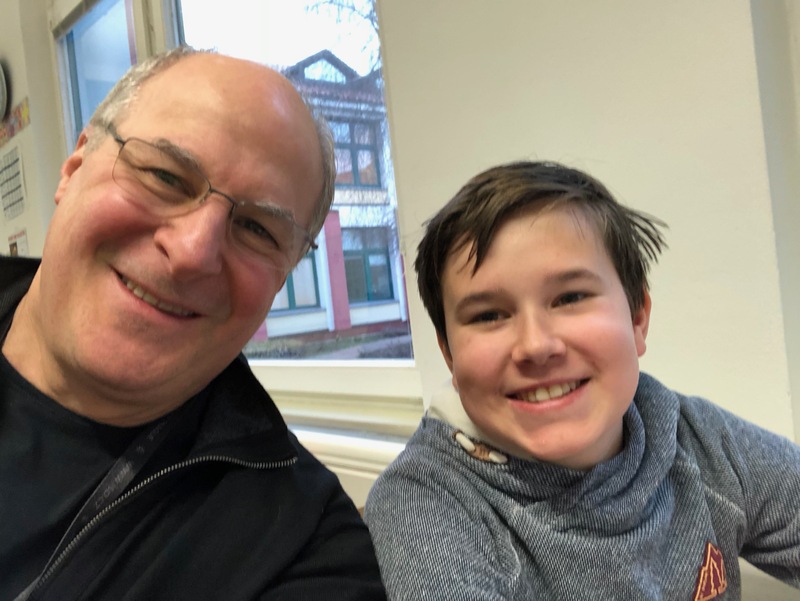 This year I spent the day with Bonno, an eighth grade student who eagerly embraces the learning opportunities afforded him at ISP. First stop, eighth grade math with Ms. Olley. As soon as we entered and got ourselves settled we were up solving math problems collaboratively on the whiteboards. 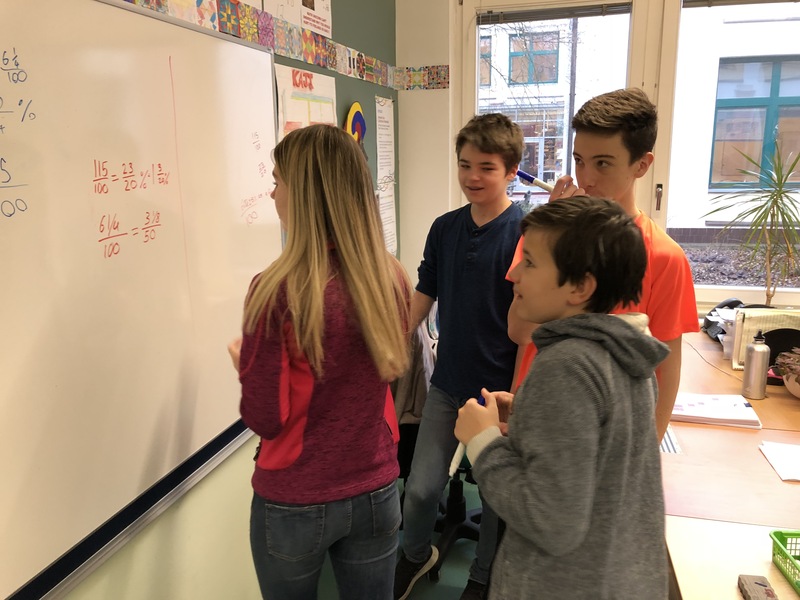 As we worked, Ms. Olley encouraged students to work with each other, ask questions, learn from each other and revise accordingly. 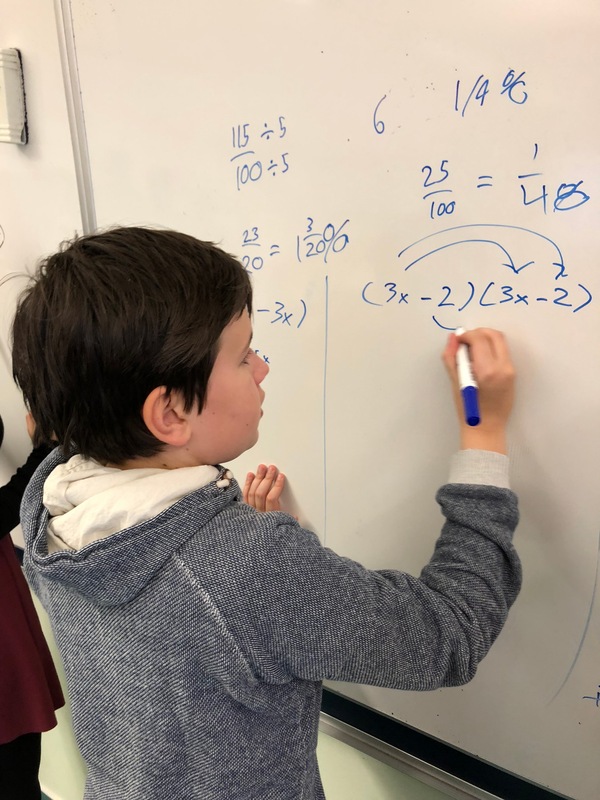 As the class proceeded, students delved into the world of factoring as they worked to solve a variety of problems of increasing complexity. While students worked, Ms. Olley moved around the room, engaging with each student to support their progress and answer questions. Bonno told me how much he enjoys math class because he loves solving math problems. His other favorite subject is Science. Our next stop was Art with Mr. Dimitrov. 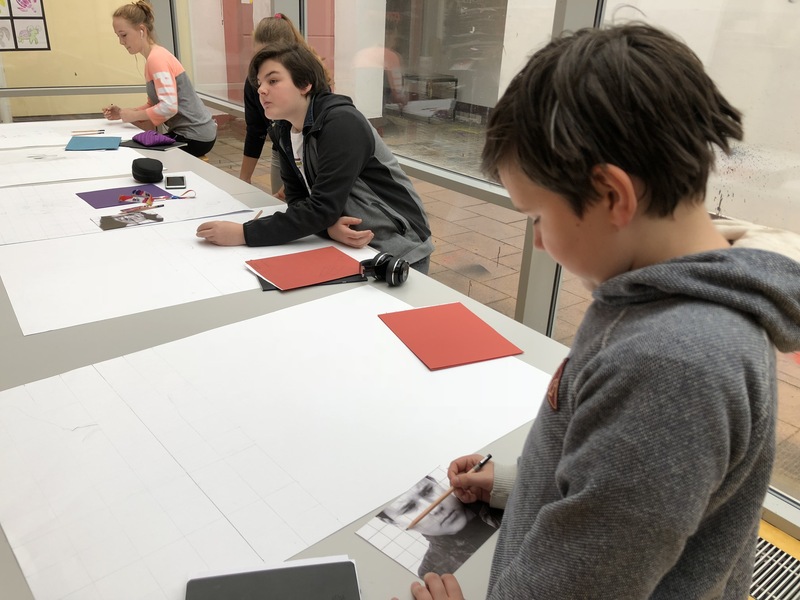 Most of the class was working on large self portraits using the Renaissance grid system. When we arrived, students got started already knowing what they needed to do. They were able to independently pick on where they left off the last time. 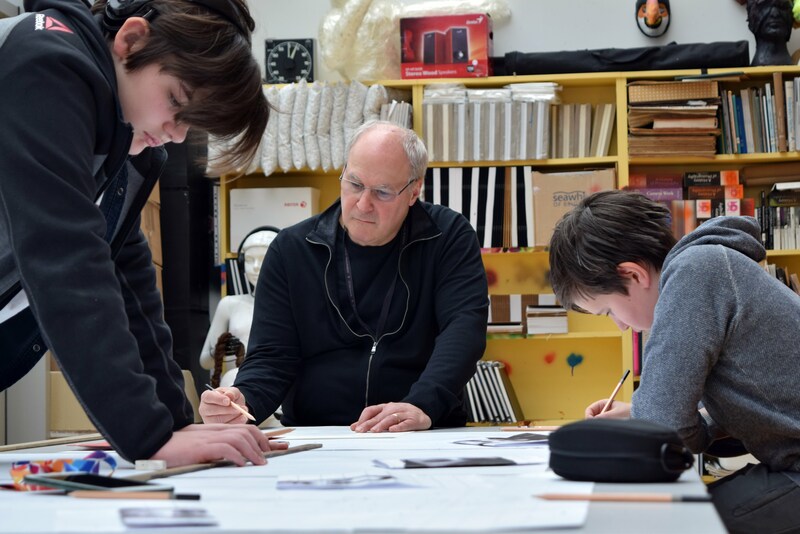 There was a quiet intensity in the room as students tackled a variety of technical problems such as getting proportions right and applying proper shading techniques. 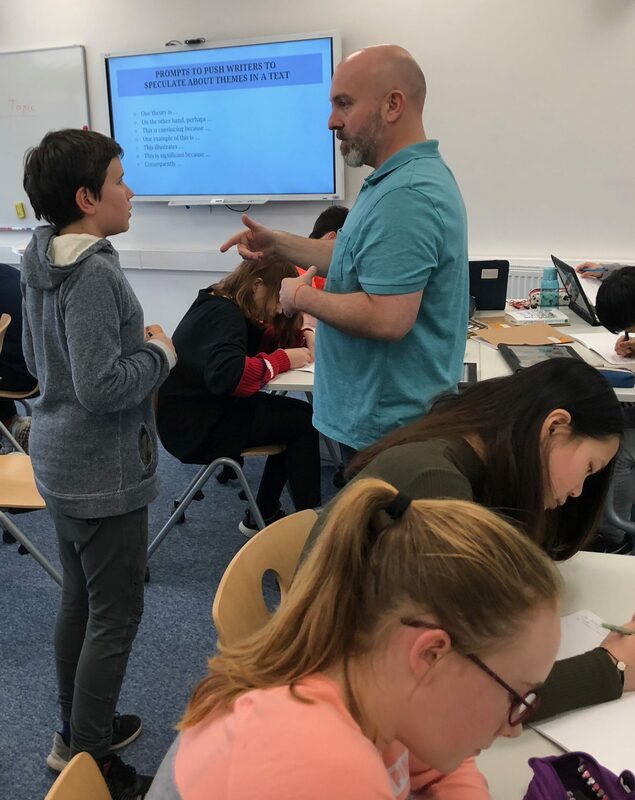 From time to time, students discussed their progress with each other and with Mr. Dimitrov who was always there in the background guiding the students, but giving them the space to learn by doing. 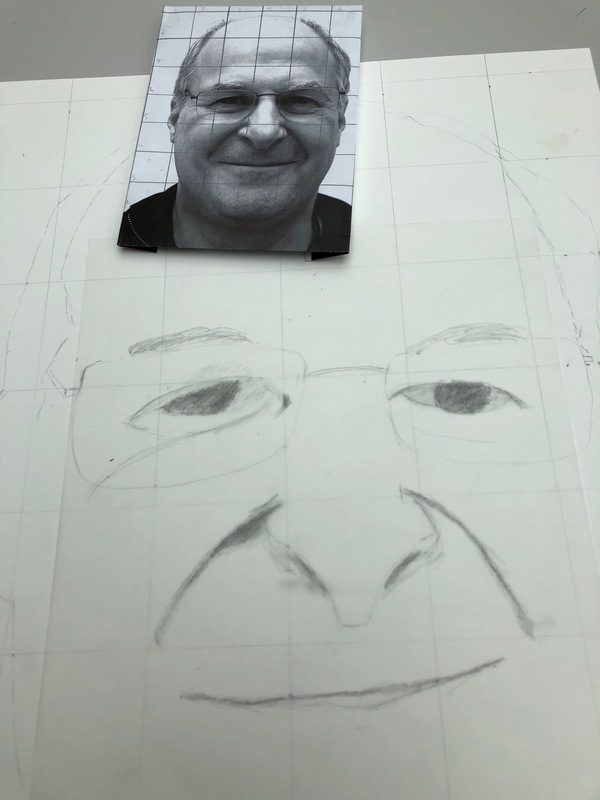 I too had a chance to begin my own self portrait with Mr. Dimitrov’s patience and support. I learned a lot about this ancient process, but I think still have some more work to do! From Art and after lunch, Bonno, a percussionist, had a special band class with Mr. Perry. I say “special” as there were many parents there waiting to hear their children perform in individual and group recitals. This was a great example of an “authentic assessment” where students demonstrated their learning in a real world context. Our last class was LA/SS (Language Arts/Social Studies) with Mr. Fisher. The focus of this class was on identifying and writing about themes one encounters in a novel. Bonno had been reading The Stars Beneath Our Feet by David Barclay Moore. It’s about a 12-year-old boy living in the projects of Harlem, NYC. Bonno was interested in a number of intriguing themes which he gleaned from the book so far, such as the challenges of growing up in difficult situations. 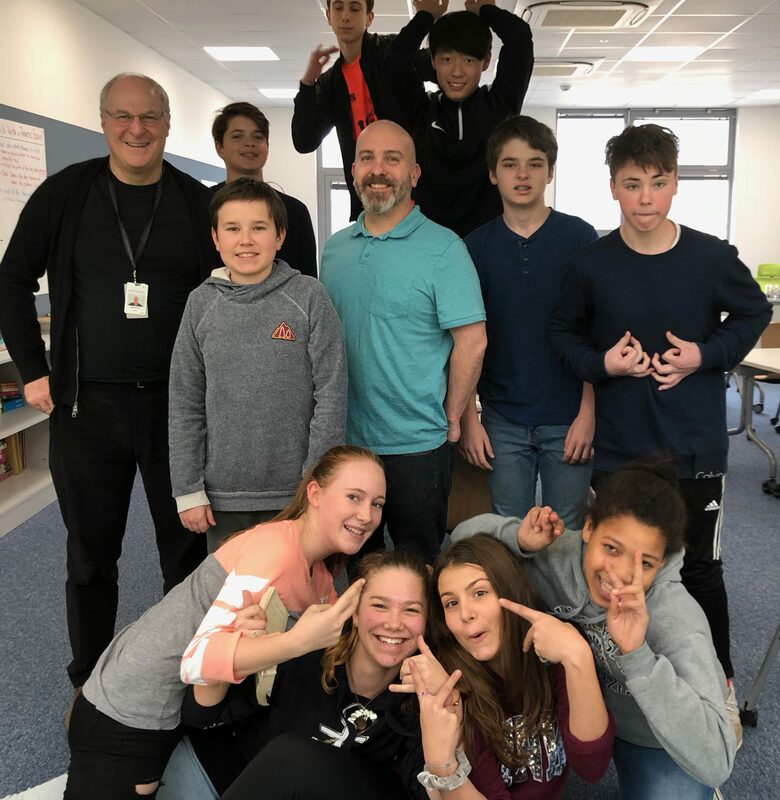 Mr. Fisher gave the students significant autonomy to reflect and write about their themes, while he was always readily available to answer questions and guide his students through the writing process. My day with Bonno was tiring and exhilarating at the same time. I am always amazed at how much learning is packed into one day in the life of a student and the resilience of youthfully learners. Thanks to Bonno for being such a great middle school ambassador and learning partner!